SAU alumni may borrow White Library material by bringing a driver’s license (or other form of photo I.D. containing a current address) to the library Circulation Desk and completing a library user form. Don't live near Spring Arbor? No problem! While books must be checked-out in person, a library staff person will be happy to scan a book chapter, article or other document to email. Contact a librarian for more info. 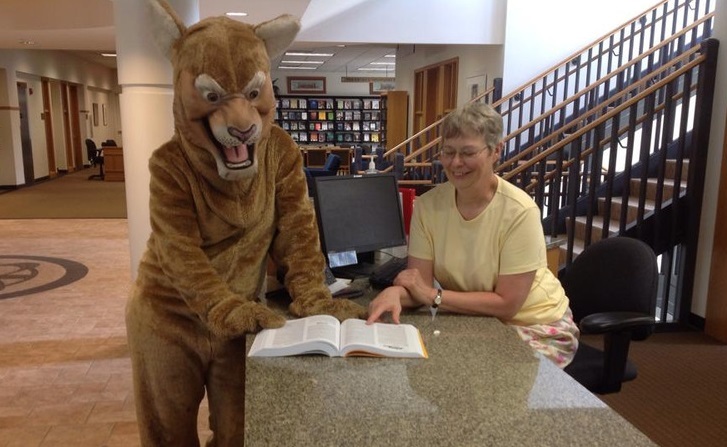 MeLCat and Interlibrary Loan services are not available for alumni. However, Michigan residents can use MeLCat through their local public library. See a list of participating MI libraries. Free state-wide library services are also available for residents of Ohio, Indiana and Illinois. Find full-text articles, conference papers, dissertations and more. White Library The library's research databases can be accessed on the SAU main campus. Don't live near Spring Arbor? A librarian will be happy perform a database search for you. Michigan eLibrary Michigan residents have access to Michigan eLibrary databases. JSTOR OPEN Open access academic journals and ebooks. ELSEVIER OPEN Open access academic journals in nursing, medicine and more. WILEY OPEN Open access academic journals in medicine, environmental science, and more. PUBMED PubMed comprises more than 28 million citations for biomedical literature from MEDLINE, life science journals, and online books. PQDT OPEN Open access dissertations and theses. Spring Arbor University Alumni Learn about Spring Arbor University alumni benefits and about how you can get involved and stay connected with SAU and your fellow alumni. Let us help you navigate the library's services. Librarians are available for quick or in-depth consultations in person, via phone, or online. Contact a Librarian.